Content warning: This article includes explicit content; we felt it necessary to include this content to highlight the full extent of the betrayal of the children who were exposed to this material in Catholic schools during Cardinal Danneel’s period as Archbishop of Mechlen-Brussels. Voice of the Family reported yesterday on the special appointments made by Pope Francis to the Ordinary Synod on the Family to be held in Rome this October. A significant number of the appointed prelates openly reject the teachings of the Catholic Church on questions relating to sexual ethics and the family. 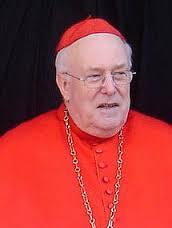 “On April 8, 2010, the newly retired Cardinal Danneels received some visitors at his home. They were the relatives of the Bishop of Bruges, Roger Vangheluwe, Danneels’ close friend. At this meeting, the nephew of Vangheluwe described a long and sordid 13 year molestation by his uncle, the Bishop of Bruges. Cardinal Daneels advised the nephew not to go public with the sexual abuse. During the meeting, Danneels advised the young man not to “make a lot of noise” about the abuse he endured from his uncle bishop because Vangheluwe was scheduled to retire in a year anyway. “It would be better that you wait,” advised Danneels, while also urging the young man to forgive his uncle. “Bishop Vangheluwe admitted to the sexual abuse of his nephew and stepped down from his post shortly after the April 8 meeting between his nephew and Danneels. Because of the statute of limitations law, the Bishop of Bruges was never charged with the crime. However, the plot continues to thicken. “The daily De Standaard newspaper reported that two former Belgian priests, Fathers Rik Deville and Norbert Bethune had personally informed Cardinal Danneels about Bishop Vangheluwe’s child sexual abuse several times between the mid-1990s and early 2000s. Father Deville told the Associated Press that he told Cardinal Danneels about a number of sexual-abuse cases. “The cardinal sometimes got angry and said it was not my job, that I should not get involved,” Deville said. “Because Cardinal Danneels refused to respond to requests to put an end to these practices, I and hundreds of concerned parents gathered in front of his palace on 15 October 1997. We carried placards with the text ‘Respect for parents and children,’ and we said the rosary. Cardinal Danneels refused to receive a delegation of the demonstrators. ‘I shall not be pressured,’ he said in the libertine magazine Humo on 21 October 1997. The Archbishop’s door remained closed when we demonstrated again on 10 December 1997. In May 2013 Danneels expressed his support for homosexual unions to Dutch language newspaper De Tijd. He said: “I think it’s a positive development that states are free to open up civil marriage for gays if they want,” the cardinal told the newspaper , even as he said he thinks such unions should be given a different name than marriage.